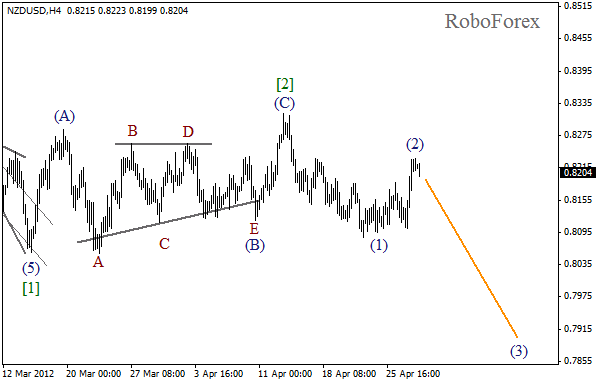 We already know that the New Zealand Dollar corrections are never simple. 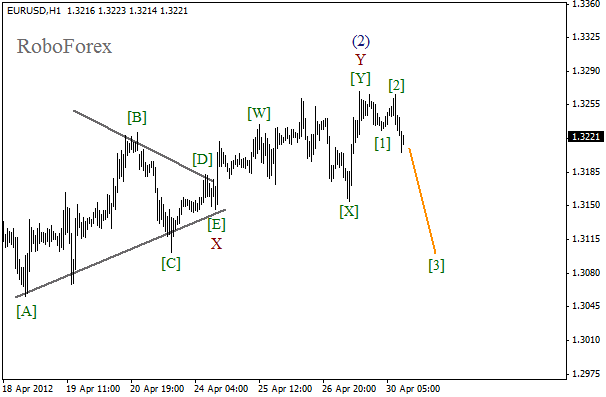 The price continues forming wave (2), which is almost finished. The forecast of the price movement remains bearish. 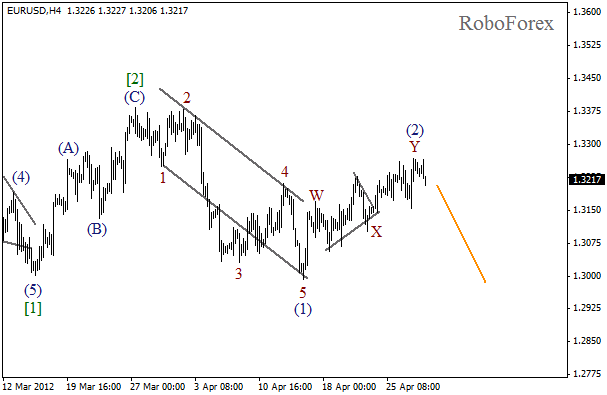 In the near term, we can expect the pair to start falling down in wave (3). At the H1 chart we can see that zigzag pattern in wave (2) is almost completed, that’s why in the nearest future the price may start forming an initial wave 1. One can consider selling the pair after the price forms a descending bearish impulse. 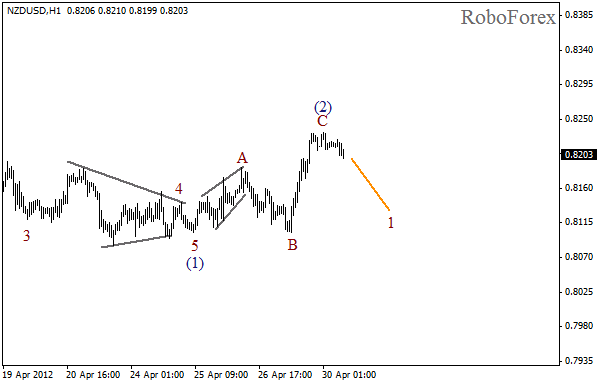 We may assume that the price is finishing wave (2) in the form of double zigzag pattern, there is a possibility that the pair is starting a new initial descending impulse right now. In the near term, we can expect the start of wave 1. After completing horizontal triangle pattern, the price formed double zigzag pattern in wave Y of (2). On the minor wave level the pair has finished an initial descending impulse. The price may continue falling down during the next several days.